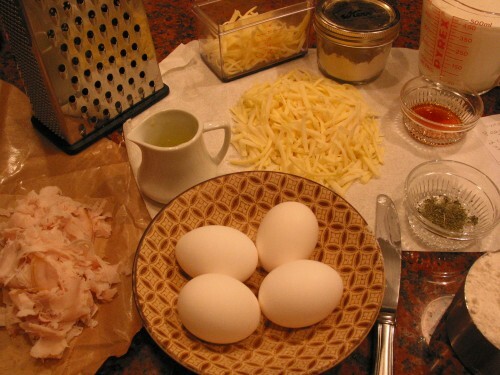 If you are looking for a quick evening meal you should add crêpes into your weekly line-up. I had forgotten about these little gems until it became our theme for the Gluten Free Ratio Rally this month. 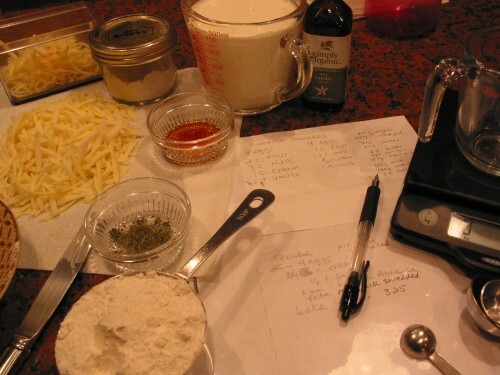 A group of gluten free bloggers work on recipes by ratio and share their results each month. Here is a link to learn more about the origins of our project. The beauty of a crêpe is the versatility it offers—a crêpe can be your main course, dessert, or even breakfast. You don’t need any special equipment —a non-stick skillet and a spatula do the job nicely. When I worked at the pie shop I was the go-to girl for crêpes, we offered them all day long in savory and sweet versions. 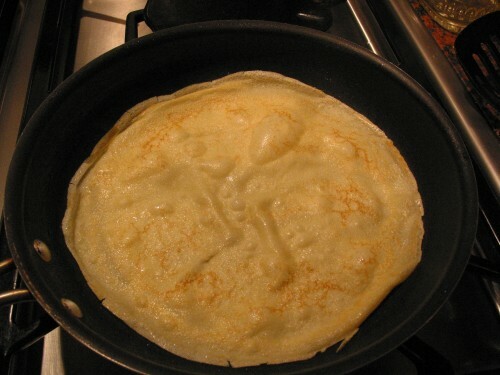 The owner and I were the only ones who knew how to make them but I will share with you the very simple secret of flipping the crêpe without tearing. I like a turkey, mozzarella, Monterey jack cheese filling with herbs de Provence and melted butter. For breakfast, a jam filled crêpe with some butter and a little confectioners sugar for garnish is a happy way to start the day (along with two fresh pulls of espresso in an Americano). Crêpes are a great little wrapper for leftovers, especially since corn tortillas can’t be used for everything and I have yet to find an absolutely wonderful flour tortilla recipe though we use one that is pretty good (found in Cooking Gluten-Free!). The next time I make these I am going to substitute half of the flour mix with pure buckwheat flour. The rule of thumb ratio our group uses is from Ruhlman’s ratio (see link above about our origins) and for crêpes that is a 1:1: ½ ratio of liquid : egg : flour. I substitute in my Multi Blend GF flour mix for the regular flour we used at the pie shop but otherwise the recipe is the same. The pie shop crêpes received rave reviews from everyone! The recipe is very easy—it looks lengthy due to the explanation only! Savory filling….oops I forgot to flip this one below….. 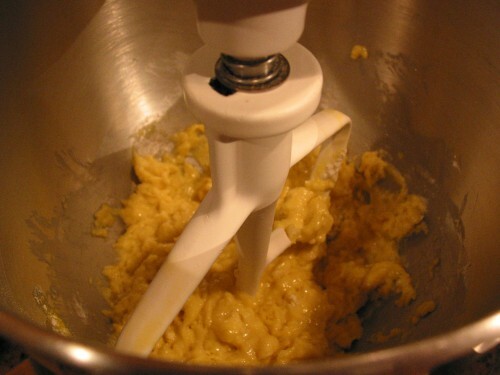 Using the whisk attachment on a stand mixer (or mix by hand with a wire whisk) combine flour mix, guar gum, and salt. Combine lightly beaten eggs with the dry ingredients. Pour milk and cream into a large glass measure along with vanilla. 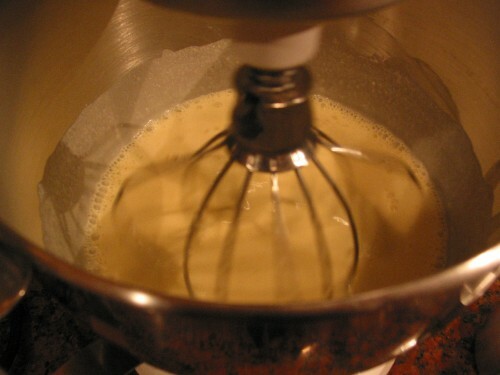 While mixer is running, gradually pour a steady stream of milk/cream into the batter until well combined. 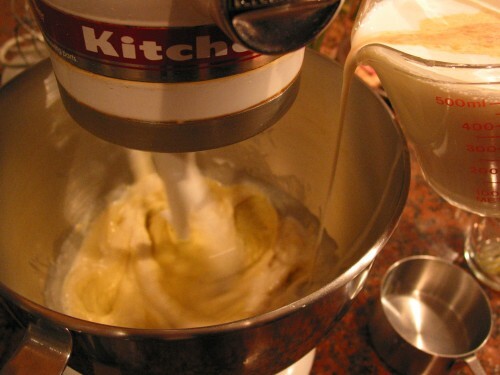 Allow the mixer to whisk ingredients together for a minute on medium-high. 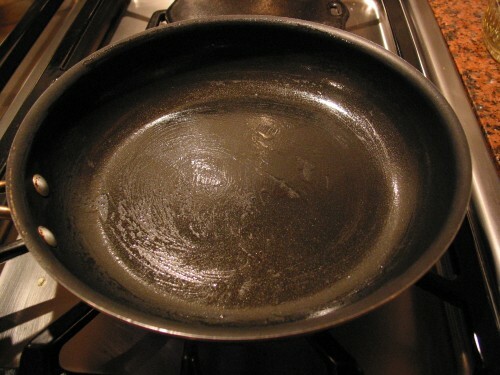 Over medium-high heat, add a teaspoon or two of oil in a 10-inch non-stick skillet or a well-seasoned iron skillet. Using a wad of paper toweling, spread the oil to lightly coat the pan and then using the same paper towel, wipe a plastic spatula with the oil lightly. This is part of the secret to easy flipping. (set aside oil soaked paper towel to use again for next crêpe). 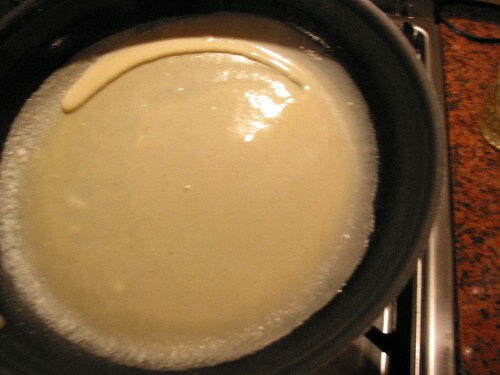 Pour ¼ cup batter into the prepared pan and swirl the pan to create a thin layer of batter covering the pan. 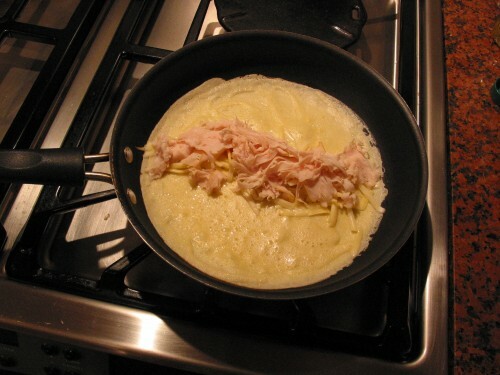 Cook a few minutes until crêpe edges easily release from the pan as you lift the edge with prepared spatula. (When the crêpe is cooked and ready to flip it will release—don’t try to flip it too soon.) Flip the crêpe and cook the other side. You may cook all the crêpes at once by stacking the cooked crêpes on a plate with alternating layers of parchment paper and crêpes. Keep warm in a 200 degree oven. 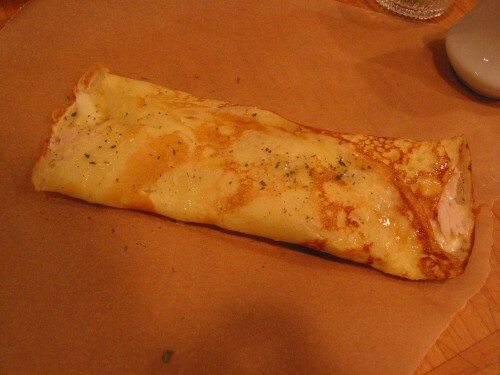 When making a savory crêpe with cheese I like to return the crêpe to the pan, add cheese down the middle, top with other fillings and fold up each side of the crêpe to cover the fillings and allow the cheese to melt. This may not be a necessary step if you aren’t using cheese. Return each crêpe to the non-stick skillet and fill each crêpe with a few ounces each of turkey and cheese down the middle, fold up each side of the crêpe and allow the cheese to melt. Transfer to serving plate, drizzle butter over crêpes and plate, sprinkle with herbs de Provence and serve. Check here for the preparation method. Prepare two crepes of medium size and keep aside. Mix the diced bananas with honey and chocolate syrup. Further, spread the butter on the single side of a crepe, add the prepared banana fillings and wrap fully with the other crepe. Finally, splash the caramelized sugar on top of this savory crepe. Shops offer this dessert at $1. T.R. ~ No One Likes Crumbley Cookies ~ Brownie Crepes with Strawberry Wine sauce.